Week one also happened to be half priced frap week! Week one I opted for the lace tank from the Back With a Peplum post. 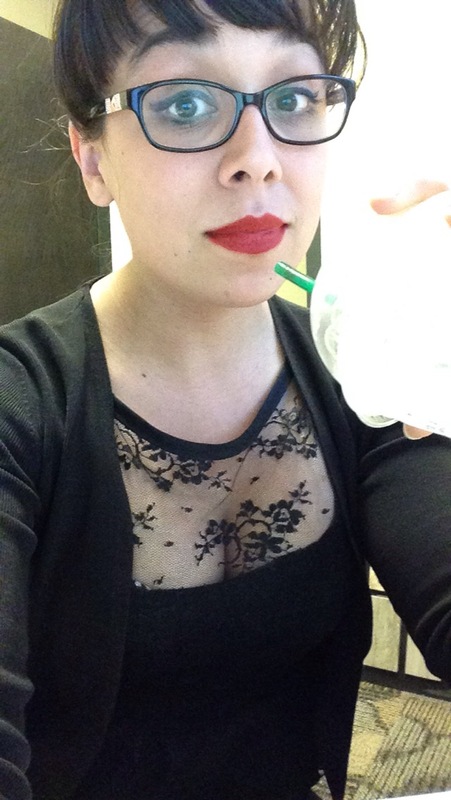 At work, I cover up my half sleeves, so…also features a rtw cardigan. You’ll notice, I finally got around to finishing the neckline and arms with bias tape. Also, I have spectacles now! Though I don’t really need to wear them all the time, you’ll be seeing them often, as I’ve always wanted glasses. On the way to work, no cardigan. No spectacles, but so much makeup. 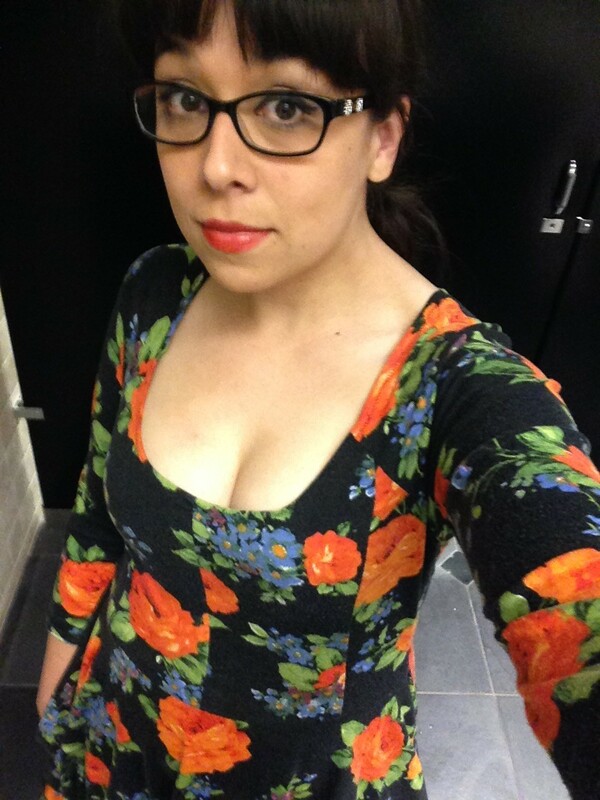 Bathroom selfie and and the return of the spectacles.